Best Autism Treatment in New Delhi, India– Stem Cell therapy is the latest technology to treat Autism patients. If you are looking for best Stem Cell therapy for Autism in India, you are at right place. 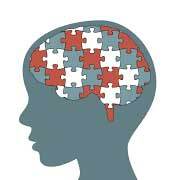 Currently, only a handful of treatment procedures have been clinically approved for treating autism spectrum disorders. Medicines prescribed for autism treatment fail to cure the core symptoms and are sometimes even have adverse effects on the patient. Aside from pharmaceuticals, the alternative treatments for autism are based on behavioural treatments, diet changes and biomedical approaches. No one therapy has been known to work for the disorder. Recently, a wave of cell-based therapies is sweeping across the world as scientists are coming up with exciting preliminary results for untreatable conditions like Autism. Stem cells appear to open up potential novel avenues for the future of cell-based therapies. Indian cities have been blooming with a lot of stem cell clinics comparable to international standards. The Indian hospitals catering to stem cell therapies work in collaboration with such clinics backed by state of the art equipment and dedicated medical staff and highly qualified surgeons and clinicians specialized in stem cell therapies. People all the over the world are looking out for Indian stem clinics for affordable stem cell treatments. The treatment costs in India have always been almost half of what is charged in the western world. The global patient is getting attracted to the high quality and affordable stem cell treatment available in India. Advancells is one of the leading institutions in India in the field of stem cell-based regenerative medicine therapy. As a pioneer stem cell company, Advancells is developing stem cell treatments to harness the limitless potential of mesenchymal stem cells in delivering a natural cure for many ailments affecting the Indian population. The expert team at Advancells has developed an optimum protocol for stem cell extraction and efficient cell recovery from various tissue sources from the human body, including the bone marrow and adipose tissue. The clinical research team has developed an extensive procedure that spans clinical consult with the patient, cell extraction, cell transplant preparation, transplant procedure and follow up with the patient. Advancells is involved in numerous clinical trials in collaborations with doctors, stem cell experts and clinical research scientists trying to constantly raise the bar in terms of excellence in research and innovation. The process of autism stem cell treatment at Advancells is very thorough and precise. The treatment starts with background routine tests to check the patients’ overall health condition and parameters before the treatment can be started. The patient is then subjected to consultation to get a family history of any ailments as well as consultation to educate the patient about the cell therapy procedure, its underlying principles and the procedure. Consultants and physicians take utmost care to make sure that the patient is made comfortable before undergoing the procedure. During the treatment, the expert team of clinicians and researchers working harmoniously during the extraction procedure and transplantation surgery. Patients are then given follow-up check-ups under closely. The clinical trial’s results conducted in Delhi NCR at Advancells have been extremely encouraging for stem cell-based therapy for autism. Children between the age group of 5-16 years of age were given stem cells treatment and over 90% of the cases showed improvement in condition. Most of the patients experienced a lot of improvement in their ability to speak, make eye contact and also started getting comfortable with social contact. The above encouraging results at Advancells is restoring the faith of the medical community in India in stem cell-based therapy for curing autism. The prevalence of autism is becoming more and more prevalent and fortunately, India is experiencing a revolution in the sector of modernized healthcare and affordable treatments. Institutions like Advancells are at the forefront of stem cell-therapy for curing several untreatable conditions like Autism. MSC-based regenerative medicine is set to restore the faith of those patients who not only believe in science but also give themselves another chance to recover and lead a healthy life.